The National Energy Board is issuing a stern warning to the company building the Trans Mountain pipeline expansion for installing mats in streams to discourage fish from spawning where the pipeline is to be built. In a letter on its website, the regulator orders the company building the line from Edmonton to Burnaby, B.C., to stop installing the mats until it has obtained all approvals from the board to allow the start of construction in those areas. In a blog dated Sept. 12 on the project website, Trans Mountain describes the "innovative use of snow fencing" in streams to protect spawning salmon and trout. It says its biologists had temporarily laid plastic fencing on the bottom of some sections of five streams through mid-August 2017 in preparation for pipeline construction there in early 2018, adding it had identified a total of 26 streams in British Columbia and Alberta where the mats would be used prior to spawning season. 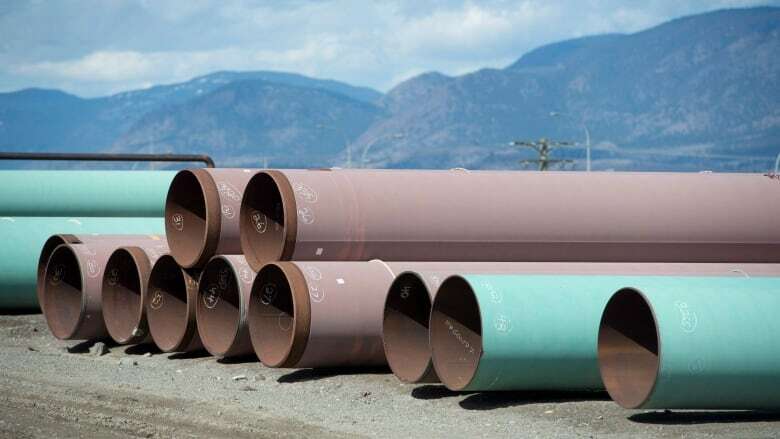 In an email, Trans Mountain spokesman Ali Hounsell says the spawning deterrents were considered a "preventive measure" to minimize environmental impacts of construction, adding the company is working on a response to the NEB order. Greenpeace Canada energy strategist Keith Stewart says it's hard to believe that Trans Mountain owner Kinder Morgan didn't know or failed to check to see if its anti-spawning strategy was allowed.